, which clinched him a very respectable 5:12 time. Cody Westheimer of Running For My Father took photos and video throughout his run, even stopping to play the piano, and still had a time of 4:41:30. It&apos;s a report well worth reading. Justin Russel writes about the women who helped him get from mile 18 to mile 23. And Darin Swanson, who clocked an amazing time of 3:35, has a write-up and photos that will make even couch potatoes want to run next year&apos;s marathon. 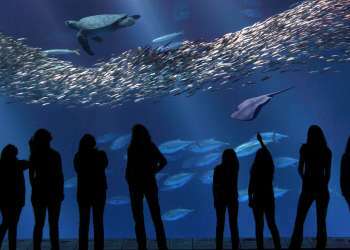 And this video shows why you shouldn&apos;t let the amazing music along the route distract you too much: Cooking for Solutions is coming up at the Monterey Bay Aquarium in just a couple of weeks, but the buzz is already beginning. 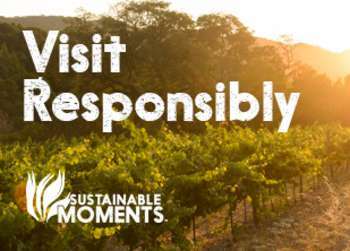 Read about it in The Boston Globe and enter to win free tickets to the event at KGO AM 810. The buzz continues about Pebble Beach Food and Wine. South Bay Foodies has an extensive review of Pebble Beach Food and Wine, including amazing photos. Read Part 1 and Part 2. Bay Area Foodie has photos and details on the Thomas Keller cooking demo, including an online link to Keller&apos;s recipe handouts. 7X7 has gossip on Jamie Lauren and Stefan Richter&apos;s demo, two-part coverage of the NorCal vs. SoCal chef throwdown, and much more. Chef Rachelle has coverage of a near-cooking-disaster and Jacques Pepin&apos;s demo. Want to know what it&apos;s like to work the big tent at the event? Read all about the Matulich family&apos;s experience. ViaLuxe has photos and descriptions of the Grand Tasting that will make you drool. The Vintagent has some early details on the Quail Lodge Motorcycle Gathering that kicks off May 8th; it&apos;s described as "what &apos;might happen if a car show broke out at a 4-star restaurant&apos;." The Examiner has a write-up on "The Great American Road Trip" through Big Sur, loaded with a great short history of Highway One as well as some great stops to make on your drive down.